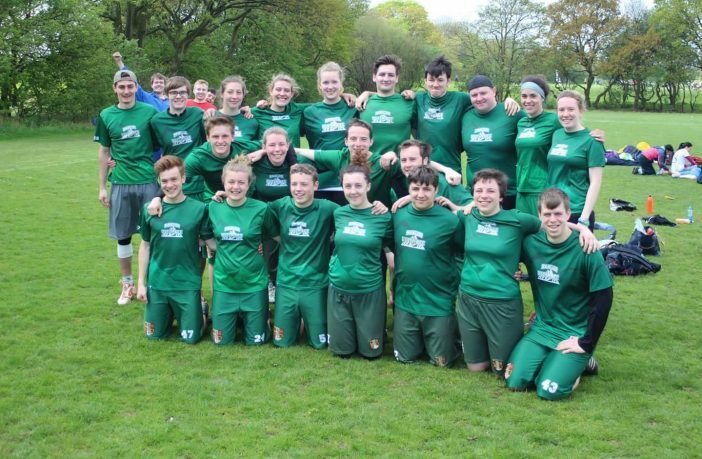 Today’s ‘one to watch’ at Varsity 2015 is Ultimate Frisbee. This year sees the sport once again mixed gender, as it was in 2013 when Bangor triumphed 10 – 15 away from home. Bangor then went one better in 2014 when both a men’s and women’s team entered – with both Bangor sides convincingly bringing home the points, the scores 0-17 and 1-13 respectively. Bangor look likely to continue this rich vein of Varsity form this weekend, having qualified in Division 2 of the BUCS Outdoor Championships while Aber did not qualify. The home side’s Men’s team also finished 6th at BUCS Indoor Regionals, while Aber finished five places behind them in 11th. Aber have struggled to field a women’s side this year, hence the return to mixed gender at Varsity, but this surely only improves Bangor’s already strong odds of winning the game, with Bangor having a strong women’s team who finished 7th at BUCS Indoor Regionals. Aber did not enter. Unfortunately, Bangor will be without their two international players in Rachel Turton (Great Britain Women’s U23’s) and Andrei Mandzuk (Great Britain Open U23’s), who will both be unavailable due to their GB commitments ahead of the Ultimate Frisbee World Championships. However, all the odds still appear to favour Bangor, and for that reason we can’t see anything other than a Bangor win. Ultimate Frisbee throws off at 2:00pm at Treborth. Coverage of Varsity 2015 will be available throughout the day on the Seren website (www.seren.bangor.ac.uk), Seren Facebook (www.facebook.com/bangorseren), Seren Twitter (@serenbangor), Seren Sport Facebook (www.facebook.com/serensport) and Seren Sport Twitter (@serensports).